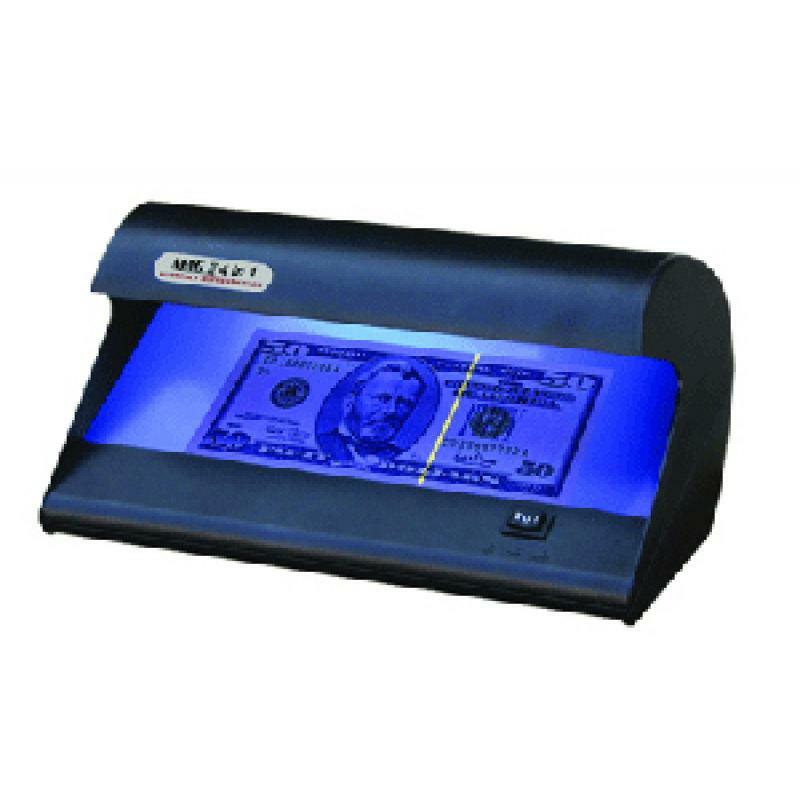 The MAG II 4 in 1 Currency Authenticators are the most economical and effective safeguards available to determine the authenticity of banknotes, credit cards, traveler's checks, IDs, and most drivers licenses. Both ultraviolet and white fluorescent lamps aid in the verification of features that are difficult or impossible to detect with the naked eye. The 4 in 1 Plus can even be used in brightly lit environments unlike most UV devices. It is the primary deterrent used by many leading Financial Institutions, Retailers, Government Agencies, and Hospitality Industry Firms. 1. For all notes: Check to see if the paper glows. Turn on the UV lamp and check to see if the paper glows. If it does, reject the note. 2. For newer style notes (series 1996 and later with off-center portrait): Check the security thread under the UV lamp. The thread should glow according to the colors shown in Figure A. Caution: the glowing thread must be visible from both sides of the note. If not glow is visible, go to Procedure 3. Special procedure for new style $100 bill glows a very faint red. Look carefully, holing the note closer to the UV light source if necessary. If you still cannot see the red glow, go to Procedure 3. 3. For newer style notes only (series dated earlier that 1996 and later with off-centered portrait): Check for watermark. Turn the white fluorescent lamp on and check for presence of a watermark (Figure B). If not visible from both sides of the note, reject the note. 4. For old style notes (all series dated earlier than 1996): Check for security thread presence. Turn on the white fluorescent lamp. The security thread should be visible (Figure C). IF not, check to see if the series date is pre-1990. If it is, cross check again closely using Procedure 1 before accepting or rejecting the note.